12/17/18. Students will revisit the Lewis Dot Structure Practice. First pass out the VSEPR notes provided. This time name the shape and the angle for each molecule. Read section 8.3 without doing the questions. 12/18/18. Students will complete question 23-29 on page 236. 1/9/19. 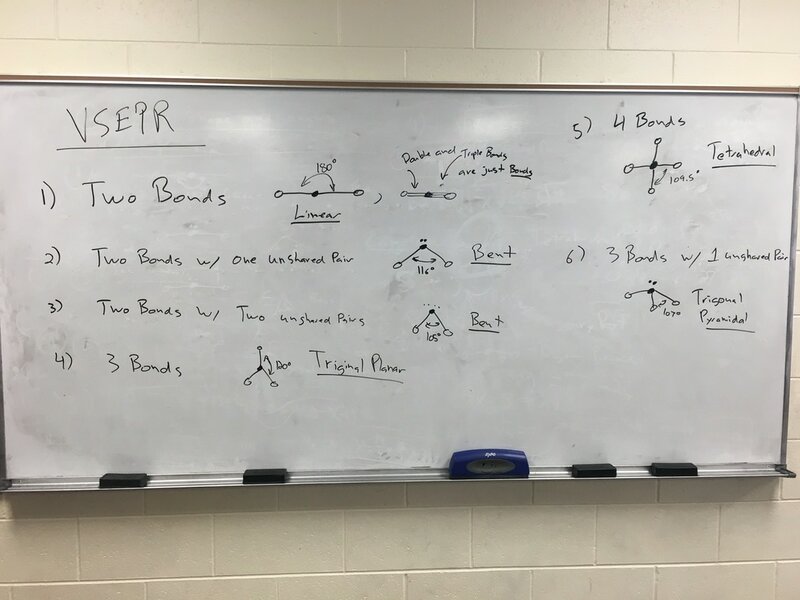 After view the above video on polar molecules students will read section 8.4 and complete the section questions.